Hoera!! CHRONOS - Bring 'The Three Graces' to life! is geslaagd! Dankzij 43 donaties die samen € 3.370 opleverden voor CHRONOS. Bring 'The Three Graces' to life! in their new piece, 'The Three Graces'. Voor de tekst in het Nederlands, scroll even naar beneden! For non-Dutch speakers, click here to find English instructions on how to donate. We are CHRONOS: a collective of five dance artists. Together we create and perform dance pieces, happenings and teach workshops. Our work is poetic, physical and we work with topics that anyone and everyone can relate to. Next month, CHRONOS will finish and première their new piece 'The Three Graces'. A dance performance about the way in which the female (body) is portrayed in Renaissance and Baroque paintings, mainly by male painters. - Because we need to reach people to come and see our performance! So, if this project speaks to you and you can spare a euro, a dollar, a mint, a peso or a bitcoin, press that 'Doneer nu!' button and help us bring these painting to life! Wij zijn CHRONOS: een collectief bestaande uit vijf dansers. Samen creëren en spelen wij dansstukken, happenings en geven wij workshops. Ons werk is poëtisch, fysiek en wij werken met onderwerpen waar iedereen zich aan kan relateren. Volgende maand gaat het nieuwe dansstuk van CHRONOS in première: 'The Three Graces'. Het is een voorstelling die ingaat op de weergave van het vrouwelijke (lichaam) in Renaissance en barok schilderijen, die voornamelijk door mannen zijn geschilderd. - Omdat we zoveel mogelijk mensen willen bereiken met deze voorstelling! Dus, als dit project je aanspreekt en je hebt een euro, een dollar, een kroon, een peso of een bitcoin over, druk dan op de 'Doneer nu!' button en help ons dit stuk tot leven te brengen! The crowdfund campaign is nearly over. We couldn't have wished for a bigger success! We would love to see you there and thank you in person for making this new piece possible. Unbelievable. Not even two weeks into our crowdfund and we have reached our goal. We are speechless. All of us would like to deeply thank you, our donors, we feel so much support and love from everyone around us. BUT NOW: As our crowdfund still runs for a few more weeks, we would like to encourage everyone to keep sharing the project with other people. All the money we'll collect above the 100% will be used for a good video registration of our premiere on the 29th of April and professional pictures of that same performance. 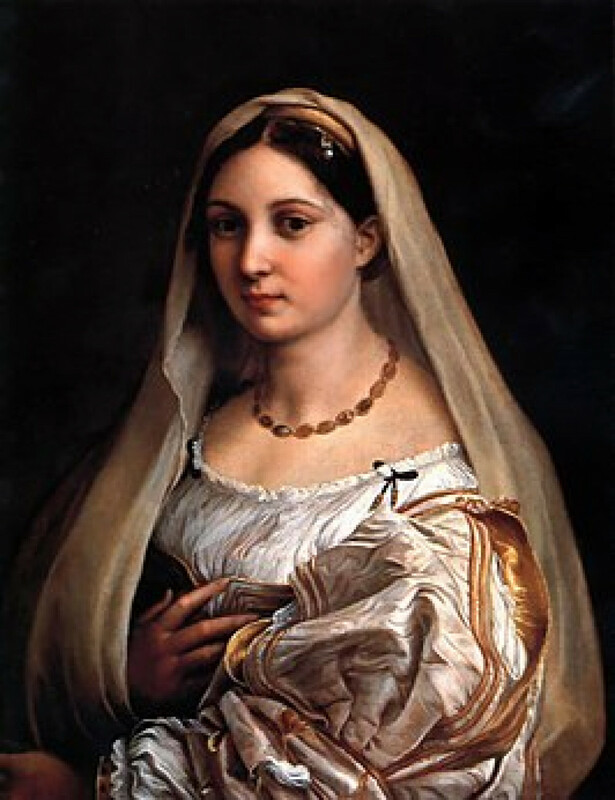 Fun fact: Our piece began with this painting you see below: La Donna Velata, by Raphael. One of the CHRONOS dancers, Vera, made a solo based on the painting, and once we started talking more about this topic of Baroque and Renaissance paintings, the idea for 'The Three graces' was born! Not even a week has passed and we're already on nearly a third of the crowdfund, thanks to some amazing first donors who believe in what we do. It's heartwarming to feel so much support! But we're not there yet, there's another 69% we need to collect! If you know anyone who loves baroque and Renaissance paintings and who should definitelysee this piece, let them know! 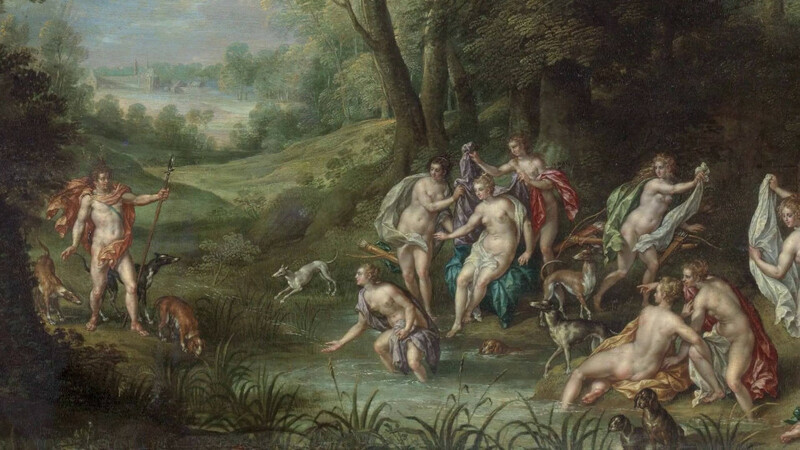 Fun fact: The painting below is called 'Landscape with Diana and Acteon'. It's one of the paintings we are working with while creating 'The Three Graces'! Strike a pose! Op de valreep natuurlijk een bijdrage Saar (en CHRONOS)! Mooi concept dat twee kunstvormen met elkaar verbindt. Ik houd van dansers die iets moois willen maken. We stick together at the Villa Monte. And we support our Alumni if we can. Chronos heeft mijn steun omdat het een hele getalenteerde en creatieve groep mensen is. Ik ben super benieuwd naar de voorstelling! Deze vier vrouwen kunnen dansen, hebben visie en de lef om weer een eigen productie neer te zetten! Eternal memory! Two tickets to the première so you can remember us for an eternity! Eternal grattitude! We’ll select a painting which we think suits your character and send it to you with a personal message! Eternal glory! Your name in ink in our program. Eternal image! Two tickets to the première AND send us your number one Baroque or Renaissance painting and we will bring it to life in a picture and send it to you, signed! Eternal fame! Two tickets to the première AND we will reenact your favorite Baroque or Renaissance painting as part of our performance. Eternal exclusivity! A first sneak peek of The Three Graces just for you (and a friend), before the actual première. Drama and juicy background details ensured! AND. two tickets to the première.